The asphalt services we provide in Lakeland, FL are backed by over 40 years of combined experience in the asphalt industry. When it comes to asphalt services, you don’t have to turn anywhere else besides AAA Top Quality Asphalt. We are proud of the wide selection of services we provide in the Lakeland, Florida area, which include asphalt paving, asphalt repair, asphalt maintenance, asphalt seal coating, pavement markings, demolition and excavation, grading, concrete curbing, and many, many others. Whatever your asphalt needs are, we have no doubt we’ll be able to meet them! Our asphalt services are backed by over 40 years of combined experience in the asphalt industry. Since we started doing asphalt work back in 2001, we have become the Lakeland area’s top choice for asphalt work, thanks to our attention to detail, hard work, and overall professionalism. We’ve also been able to reach this point since we are committed to providing unbeatable customer service. If you aren’t entirely sure what asphalt services you need, we would be more than happy to go over the specifics of your project with you. From there, we’ll craft a customized plan that incorporates our services and ensures that the end-result exceeds your expectations. Whether you have us pave a new parking lot for your business or seal coat an existing surface, you won’t be disappointed working with us. If you have any questions about our asphalt services and why you should let our team here at AAA Top Quality Asphalt meet all of your asphalt project-related needs, get in touch with us today. We can’t wait to hear from you! Parking lot maintenance is the solution for eliminating further deterioration of a parking lot, roadway, or any existing pavement surface. Preventative maintenance is the most cost effective way to maximizing pavement life while minimizing long term financial obligations. Repairing or patching the asphalt, sealing the cracks, and sealcoating are just some of the steps we may take to make sure your asphalt is in tip-top condition and can withstand typical wear for years to come. Sealcoating is the process of applying either a coal tar emulsion or asphalt based emulsion over existing asphalt. Sealcoat can be applied by either a spray application, hand squeegee, or squeegee machine. Fresh parking lot markings that are installed according to engineered drawings or county/city specification make it easy for visitors/clients to understand the drive lanes and find parking spaces quickly and conveniently. Therefore, decreasing the possibility of a vehicle collision. AAA Top Quality Asphalt provides an intelligent approach to all demolition operations. 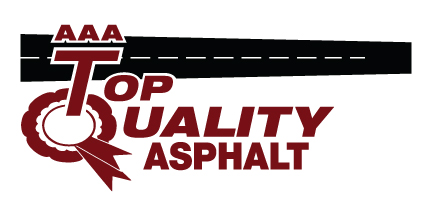 AAA Top Quality Asphalt’s focus remains on operating success while ensuring a safe work environment for their employees. Not only does AAA Top Quality Asphalt sell asphalt millings and limerock to the public, they also offer grading and compaction services as well. Do you need to clear and prep a site for asphalt or concrete? For all grading and drainage projects AAA Top Quality Asphalt is the solution. When you think of AAA Top Quality Asphalt you think of the asphalt’s industry leader. But with their concrete division you can think top quality concrete too. AAA Top Quality Asphalt is your answer for concrete curbing and flatwork. Here at AAA Top Quality Asphalt we provide quality Asphalt Services for customers in and around Lakeland, Brandon, Tampa, Winter Haven and Clermont, Florida!